With version 7.10 of the program DC-Pile now the shear design acc. to Bender + Mark is available for bore piles. By considering a component of normal force lambda*N this design is often more favorable than with conventional design. When selecting values of skin friction and end bearing acc. to Rec. 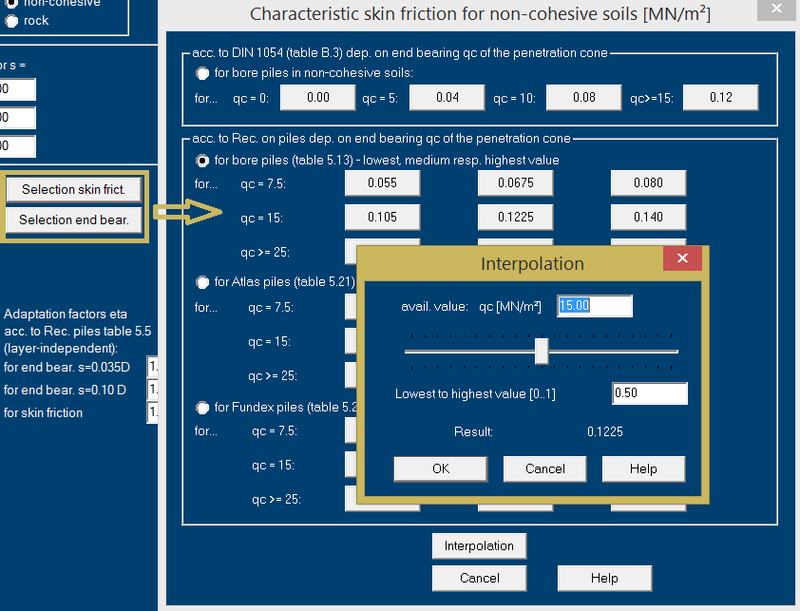 on Piles or DIN 1054, it is now possible to interpolate for available values of qc (for non-cohesive soils) or cu (for cohesive soils) and within the range of values acc. to Rec. on Piles.